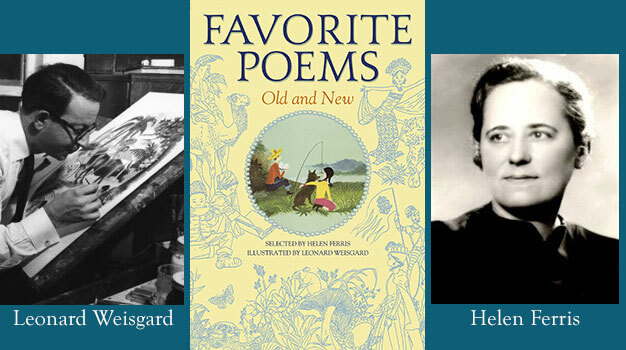 When I was three years old, my mother gave me Helen Ferris’ Favorite Poems Old and New: Selected for Boys and Girls, illustrated by Leonard Weisgard. It was a brand new book then. I couldn’t read. Mom did not read poetry for herself so I will always wonder why she felt it important to make sure I had a book of poetry, to read those poems to me. I read Favorite Poems from cover to cover and dipped into it on many occasions … I still do. There are 700 poems, many that we would consider classic. Hughes, Tagore, and Naidu are included in the section From All the World to Me, but this is primarily a volume of poetry by Western Caucasians. Giving this book today, I would be sure to pair it with a modern book encompassing diverse poets. I am grateful to Helen Ferris, and my mother, for instilling a wild love of poetry in me. Poetry is a golden thread in the tapestry of my life.